Superyachts from around the world’s highly favoured islands scored exceptionally high in both ASEAN and World awards, confirmed owner-agents from Asia Pacific Superyachts Indonesia, Phuket, Koh Samui, Langkawi, Andaman Islands and Tahiti. Coming in first place in Asia and in fifth place in the world – is Bali, reports Richard Lofthouse and Jimmy Blee of APS Indonesia. A living postcard, Bali is an Indonesian paradise that feels like a fantasy. Soak up the sun on a stretch of fine white sand, or view tropical creatures as you dive along coral ridges or the colorful wreck of a WWII war ship. In ninth place in the world – is French Polynesia’s Bora Bora adds Etienne Boutin of APS Tahiti. Turquoise lagoons, soft white sands and deep tangerine sunsets set the scene for romance on the island. Mingle with tropical fish as you flutter around Coral Gardens or Tupitipiti Point, or relax in a driving tour to take in beautiful views of the once-volcanic Mount Otemanu. Three of Thailand’s popular southern islands scored top spots in 2016 TripAdvisor Travellers’ Choice™ Awards for Islands. Phuket gained the second spot in Asia and 8th in the global ranking enthuses Gordon Fernandes of APS Phuket. The awards identify the top 10 island destinations globally and by region. In the citations for each of the winning destinations TripAdvisor states that Phuket musters 1,086 things to do based on its visitor reviews and feedback. Recommended is Phuket’s Baba Wedding Festival hosted in the island’s old town during a Phuket holiday. Captain Charlie Dwyer of APS Koh Samui, taking care of over 50 visiting superyachts to Samui with custom itineraries to Angthong National Marine Park and Koh Tao, reported the two Thai islands of Koh Samui and Koh Tao achieved third and fourth places in the Asia rankings. Coming in at No. 8, adds Captain Charlie, is Langkawi, Malaysia - also an APS serviced region. Langkawi is a serene archipelago of 140 islands – only a few of which are inhabited – with the largest being the eponymous Langkawi Island awarded UNESCO World Geopark status because of its richly populated (by wildlife, that is) conservation areas. 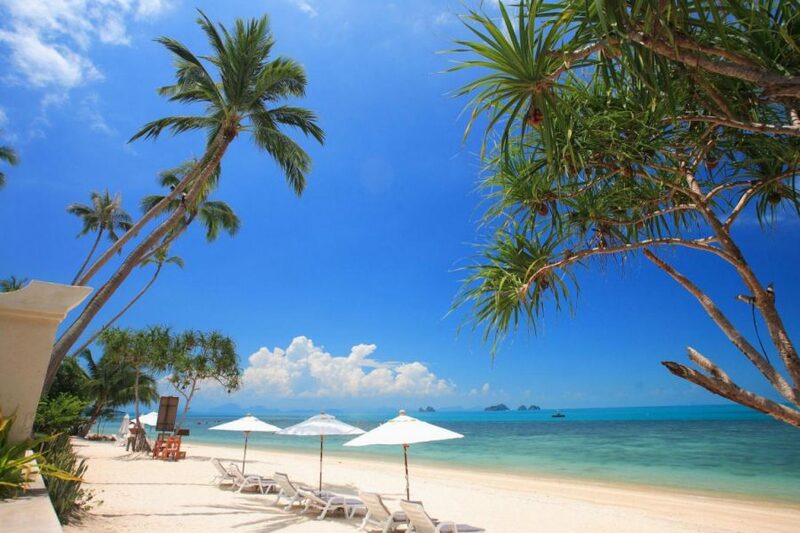 TripAdvisor identifies 475 things to do while visiting Samui the third place island in the Asia rankings and recommends a booking in May to catch the spectacular Samui Regatta at Chaweng Beach 21-28 May. Reviews of Koh Tao, a world-class dive destination identifies 156 things to do. TripAdvisor recommends a visit in June to capture the ambience of the ecotourism event, “Save Koh Tao Festival” held 18-19 June. Premium scuba diving and snorkeling are the highlights of the gorgeous Havelock Island, the most popular of the Andaman Islands of the Andaman and Nicobar Islands and coming in 9th, notes R. Rathnam of APS Andaman Islands. TripAdvisor said it highlights the world’s top islands based on the quantity and quality of reviews and ratings for hotels, restaurants and attractions in destinations worldwide, gathered over a year, as well as traveller booking interest registered on TripAdvisor.